Earth is clearly experiencing more frequent extreme weather than in the past, and we can expect it to get worse as we burn more coal, oil and gas and pump more carbon dioxide and other greenhouse gases into the atmosphere. This can have profound and costly impacts on everything from agriculture to infrastructure, not to mention human health and life. My hometown, Vancouver, is in a rainforest so we celebrate sunny days. People I talk to are enjoying the recent warm, dry weather, but they invariably add, "This isn't normal" -- especially with all the smoke from nearby forest fires. With no mountain snowpack and almost no spring rain, rivers, creeks and reservoirs are at levels typically not seen until fall. Parks are brown. Blueberries, strawberries and other crops have arrived weeks earlier than usual. Wildfires are burning here and throughout Western Canada. Meanwhile, normally dry Kamloops has had record flooding, as has Toronto. Manitoba has been hit with several tornadoes and golf-ball-sized hail. Unusual weather is everywhere. 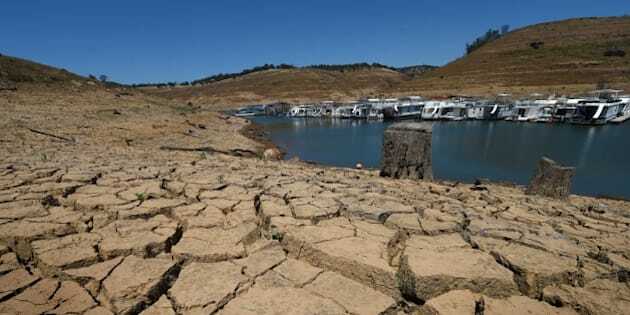 California is in its fourth year of severe drought. Temperatures in Spain, Portugal, India and Pakistan have reached record levels, sparking wildfires and causing thousands of deaths and heat-related ailments. Heavy rains, flooding and an unusually high number of tornadoes have caused extensive damage and loss of life in Texas, Oklahoma and Mexico. The likely causes are complex: a stuck jet stream, the Pacific El Niño, natural variation and climate change. Even though it's difficult to link all events directly to global warming, climate scientists have warned for years that we can expect these kinds of extremes to continue and worsen as the world warms. Some hypothesize that the strange behaviours of this year's jet stream and El Niño are related to climate change, with shrinking Arctic sea ice affecting the former. Several recent studies indicate a clear connection between increasing extreme weather and climate change. One, by climatologists at the National Center for Atmospheric Research in Colorado, looked at rising global atmospheric and sea-surface temperatures, which have increased water vapour in the atmosphere by about five per cent since the 1950s. According to the paper, published in Nature Climate Change, "This has fuelled larger storms, and in the case of hurricanes and typhoons, ones that ride atop oceans that are 19 centimetres higher than they were in the early 1900s. That sea-level rise increases the height of waves and tidal surges as storms make landfall." A Stanford University study found, "accumulation of heat in the atmosphere can account for much of the increase in extreme high temperatures, as well as an average decrease in cold extremes, across parts of North America, Europe and Asia," but also concluded the influence of human activity on atmospheric circulation, another factor in climate change, is not well understood. As Pope Francis pointed out, climate change and social justice are intricately connected: "The human environment and the natural environment deteriorate together; we cannot adequately combat environmental degradation unless we attend to causes related to human and social degradation." That's why so many people from Canada and around the world are calling for action as government leaders prepare for December's UN climate summit in Paris: religious leaders including Pope Francis and the Dalai Lama; global organizations like the World Bank, International Monetary Fund, International Energy Agency and World Health Organization; businesses from Microsoft to Ikea to General Motors; and millions of people like those who marched for "Jobs, Justice and the Climate" in Toronto on July 5. All know the future of humanity depends on rapidly shifting the way we obtain and use energy. Even though many world leaders recognize the problem, the recent G7 agreement to decarbonize our energy by the end of the century is a horrifying joke. None of today's politicians making the commitment will be alive to bear the responsibility for achieving the target, and the time frame doesn't address the urgent need to begin huge reductions in fossil fuel use immediately. Governments at the provincial, state and municipal levels have led the way in finding solutions. Now it's time for national leaders to finally demonstrate real courage and foresight as they gear up for the Paris summit later this year.